Spicy roasted broccoli, warm chickpeas, arugula, quinoa, corn, portobello mushrooms and chicken, slathered in an herby pesto dressing, come together for a hearty lunch that will keep you full well past 5 p.m. Multiple locations. This hot (in more than one way) soup, loaded with pickled carrots and herbs, is worth all the side-eye your noodle slurping will certainly earn you from your office mates. Multiple locations. This warm bibimbap-inspired bowl gets you a mom-approved serving of veggies (read: a big one)—and the tasty sesame dressing is all the convincing you’ll need to scrape your bowl clean. If you’re smart, you’ll add some creamy avocado to the mix, too. 207 South 16th Street, Rittenhouse. This triple-threat smoothie bowl packs in greens with spinach, a dose of midday caffeine with matcha, and chocolate, should you choose cacao nibs as a topping (and you should). 263 North 3rd Street, Old City, and 1428 Frankford Avenue, Fishtown. Adios, canned tuna salad sandwiches. 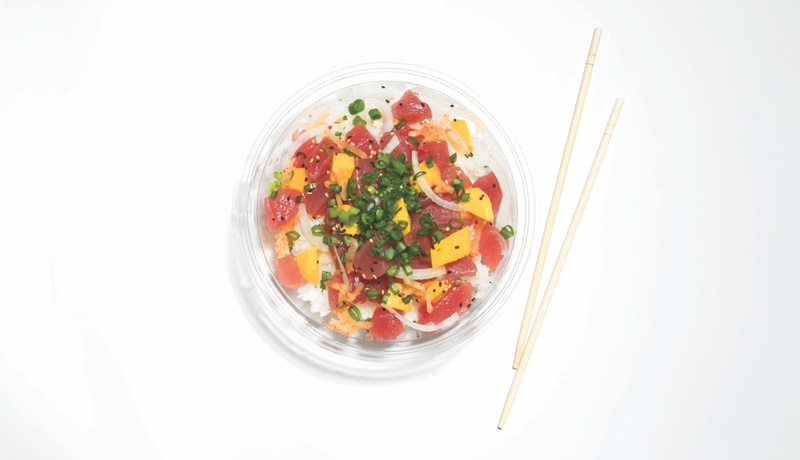 Staffers here will load your bowl with your choice of rice (white or brown) or greens, topped with chunks of marinated tuna and sprinkled with goodies from scallions to edamame to shredded nori. 59 West Lancaster Avenue, Ardmore. This was originally published in the 2017 print issue of Be Well Philly. Make sure to snag your free copy here!